JB Institute of Technology (JBIT) is a private and self-financing institution set up by the Jai Bhagwan Educational Society in the year 2009. The JBIT is affiliated to the UTU, Dehradun. The JBIT is approved by the AICTE, Ministry of HRD and Uttarakhand Board of Technical Education. Campus: The JBIT campus is sited on the Chakrata Road (NH-72) in Village Shankerpur near SARA Industrial Area in District Dehradun, Uttarakhand. The campus is spread over in 25 acres of land. The campus is well-connected by the Roads. 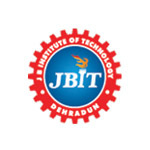 Programmes: The JBIT campus conducts B.Tech degree programme in five engineering branches, M.Tech programme in one engineering specialization, Polytechnic diploma programme in two engineering disciplines and BBA & BCA professional programmes. Computer Science & Engineering, Electronics & Communication Engineering, Electrical Engineering, Mechanical Engineering, Civil Engineering. Students & Faculty: The JBIT campus offers the admission in all programmes over 618 seats as the annual intake capacity of the courses. The JBIT has a team of 84 faculty members from all departments. Facilities: The entire JBIT campus is connected through wi-fi internet. The college has a central library which is a member of DELNET. The campus has an ERP online system. The JBIT provides the faculty guardian, problem solving classes, language lab, laboratories, health club, medical facility, mobile van ATM, canteen, hostel facility for boys & girls and indoor & outdoor sports facility. Activities: The JBIT campus has a R&D Cell, student clubs and TCS online centre. The college is a member of CII. The campus organizes value aided programmes, personality development programmes, guest lectures and co-curricular activities.